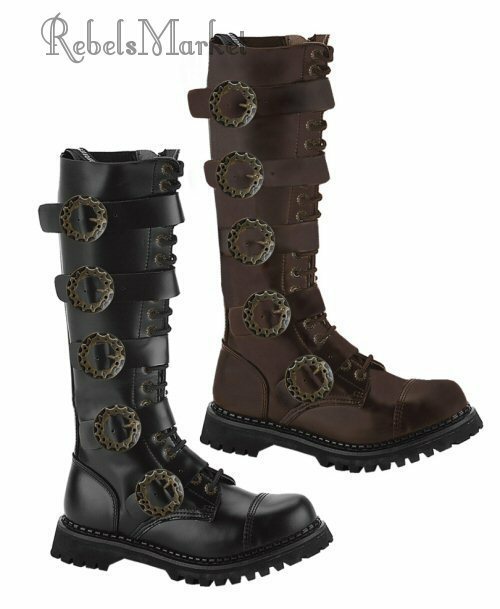 Whether for everyday wear, cosplay, or larping, mens steampunk accessories are every bit as intricate as the ladies’ pieces. Leather boots, top hats, cosplay weapons, cufflinks, belt buckles and lots more all tailor a Victorian suit with a unique steampunk look. Men’s Steampunk accessories are sturdy, robust, leather, metallic and dramatic. 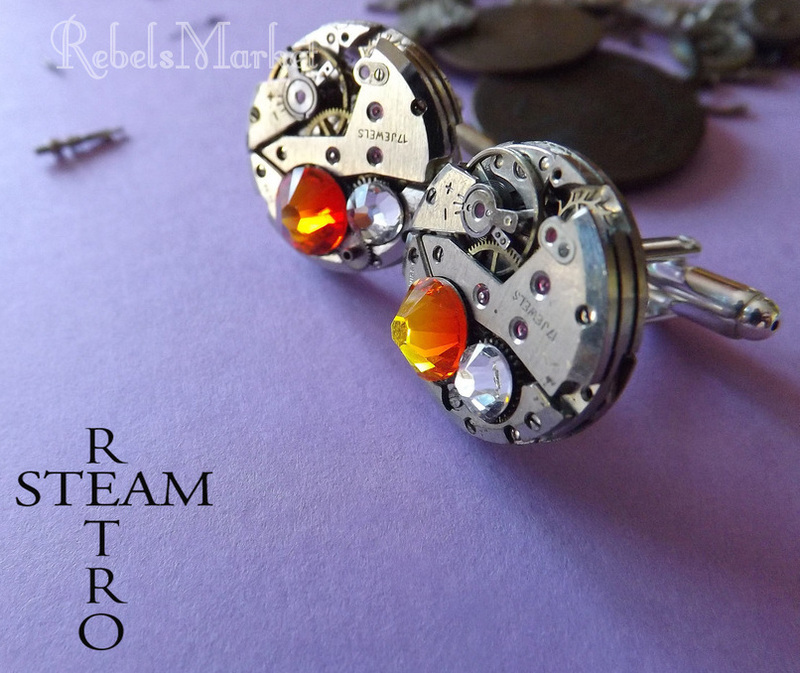 One of the most popular mens steampunk accessories on rebelsmarket with great reviews. 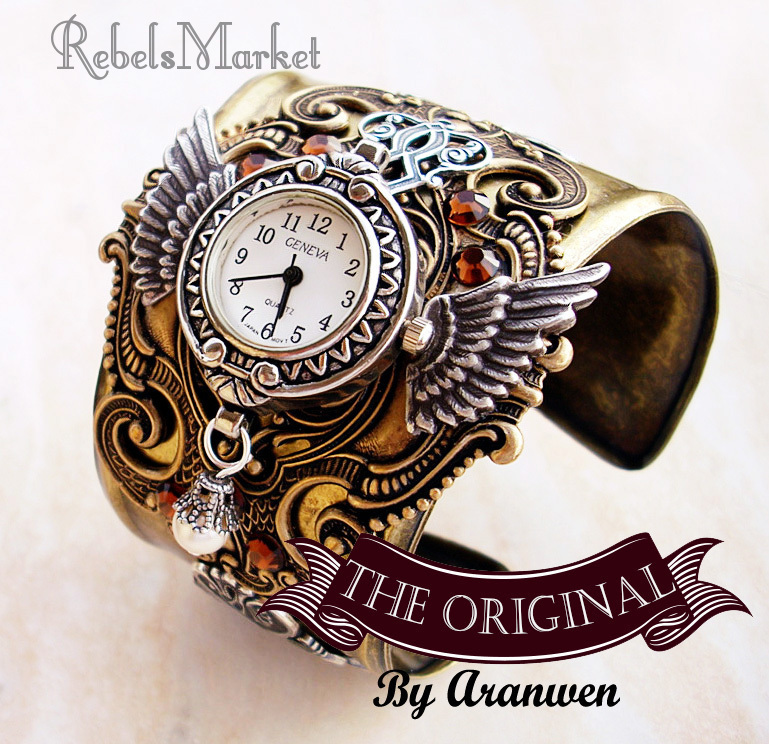 A sturdy brass cuff design watch with a intricate cog embellishments will definitely set you apart. A costume piece for cosplay or larping. Dress up in these leather studded goggles for a steamtrain ride or an old convertible car ride. The buckle is sturdy and strong enough to stay put on your head. 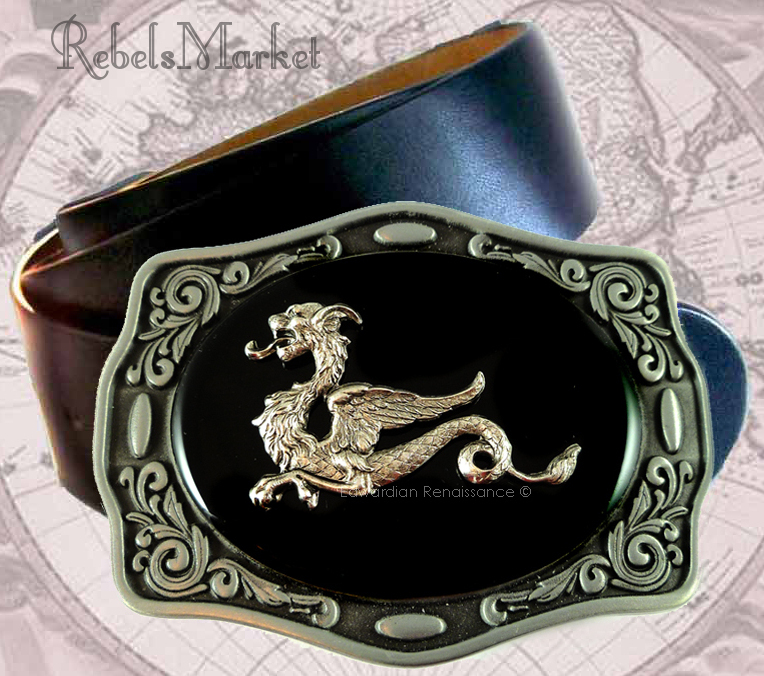 An original and sophisticated Steampunk men belt buckle design featuring a dragon and other steampunk filigree elements. A solid, manly red and black top hat with skull. Perfect for any formal occasion on its own, or in full period Victorian costume. Pirate meets steampunk. 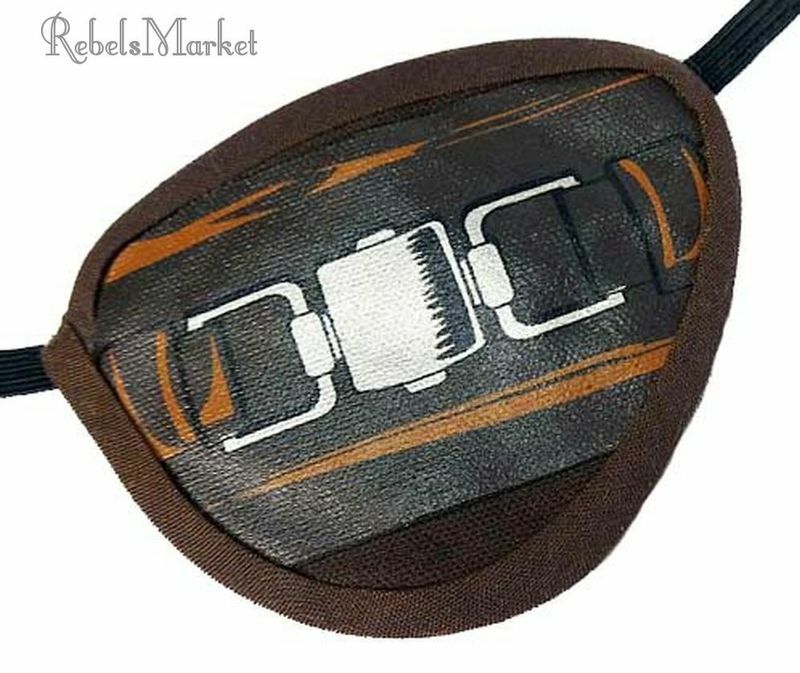 This eyepatch is adorned with a cool buckle drawing to give it an edgy design. 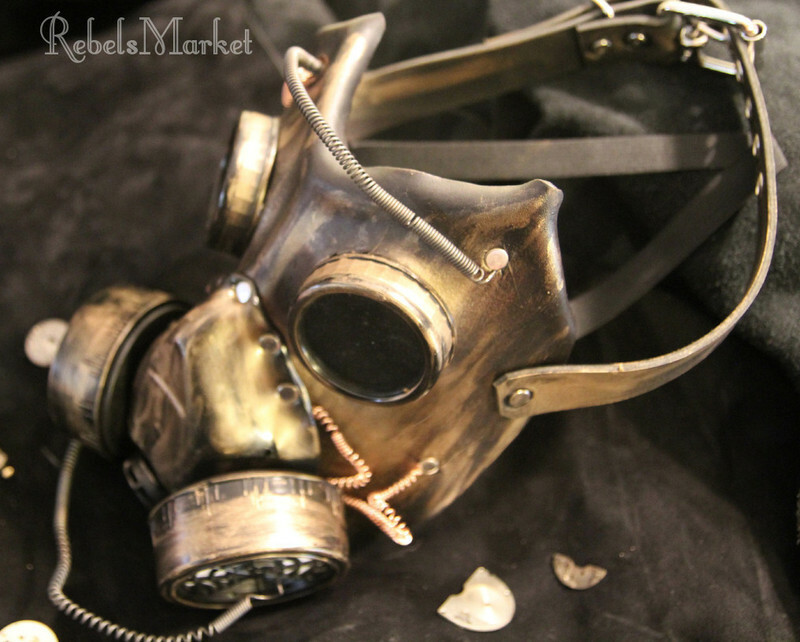 A bold and dramatic costume piece, this steampunk leather gas mask is perfect for larping or wearing out to a club or event. Sturdy brown leather boots, featuring metal buckles and a heavy brown leather that is perfect for men who need boots to go the distance. "I'm late, I'm late, I'm late! For a very important date!" 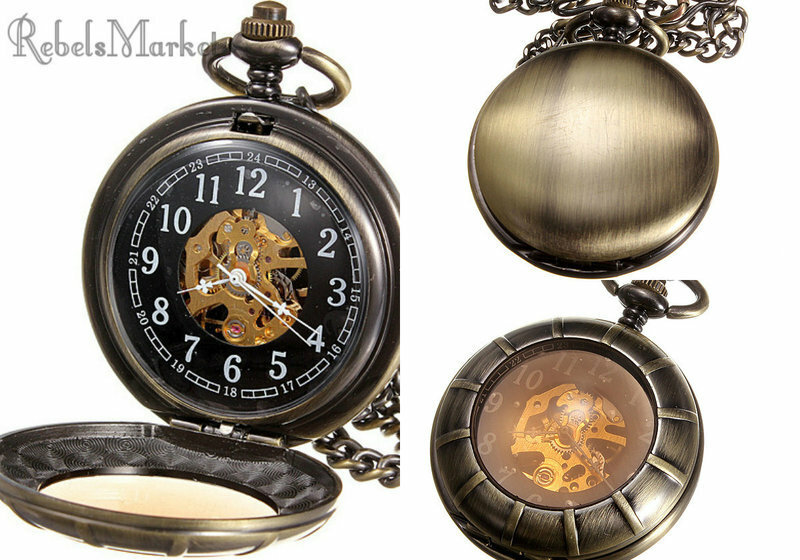 Never be late again thanks to this steampunk pocket watch - the perfect accessory to a suit for any Victorian costume. A costume piece for steampunk cosplay, or even a wardrobe item for those who are particularly brave! 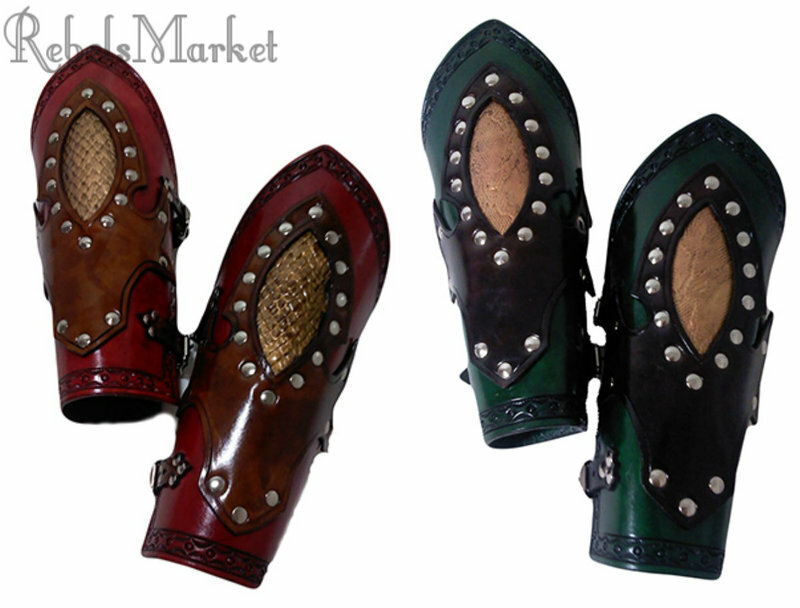 These steampunk bracers compliment the leather boots and goggles perfectly. For the deboniar individual who wants a little steampunk finery to add to a snazzy suit jacket. These clockwork cufflinks are perfect for wearing to the office on on your wedding day. 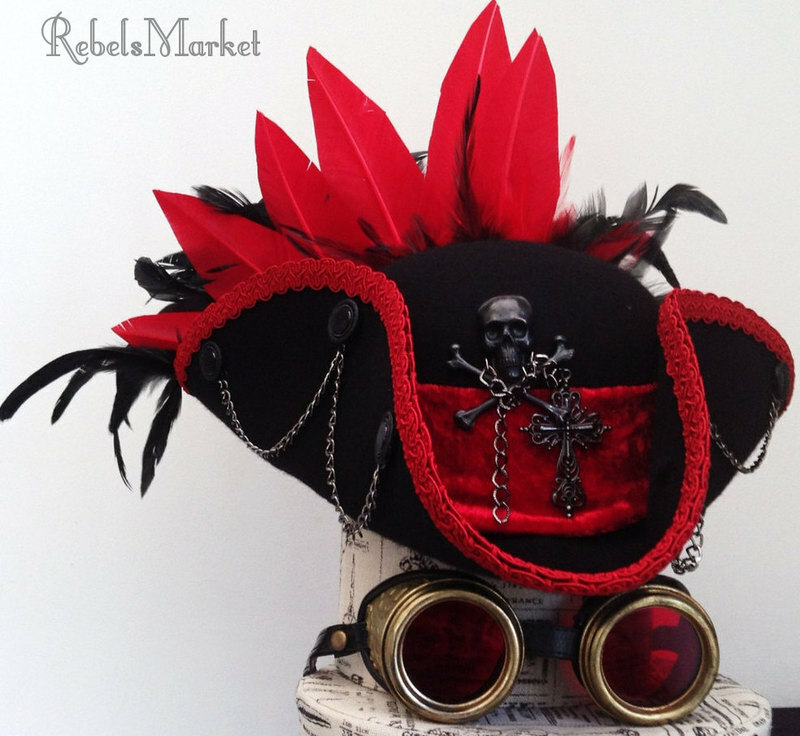 Any other favorite Steampunk men accessories do you love on RebelsMarket? Comment below.